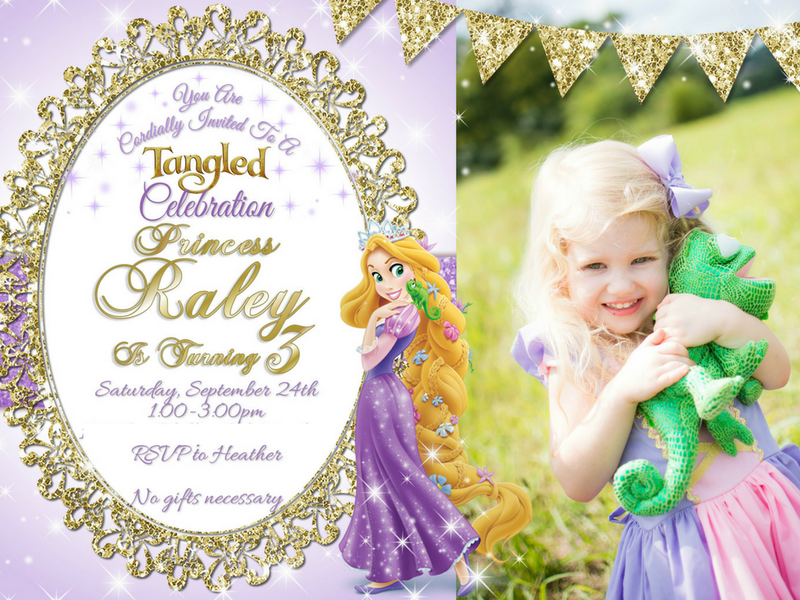 I’m so excited to finally be posting Raley’s ‘Punzel 3rd birthday party! 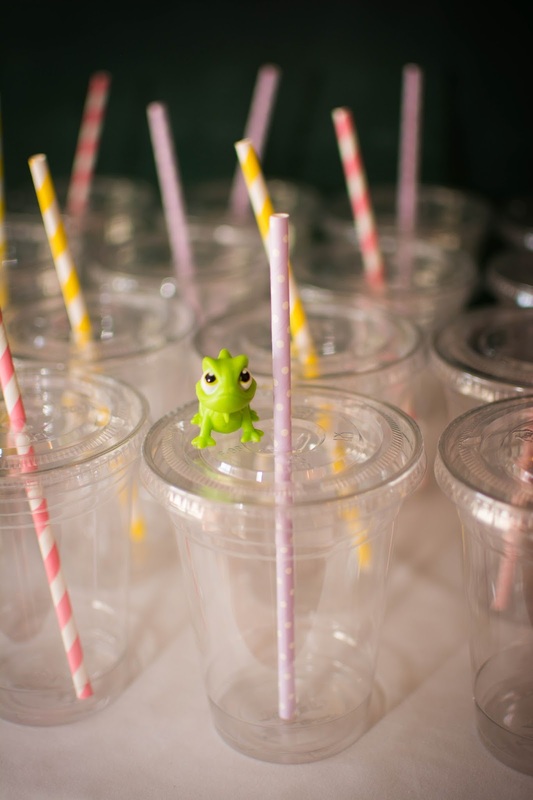 She went back and forth for a while on what kind of party she wanted but ultimately landed on a “Punzel and Pascal” party. Every day she would ask me “Is it my Punzel and Pascal party today? !” We weren’t sure party day would ever come but of course it finally did. The day before her party she went to Mother’s Morning Out that morning in her Rapunzel shirt that I made her with my new Silhouette machine. This machine has been a life saver! I basically spent the entire day decorating my parents house for the party with the help of my entire family, especially my sister and cousin. 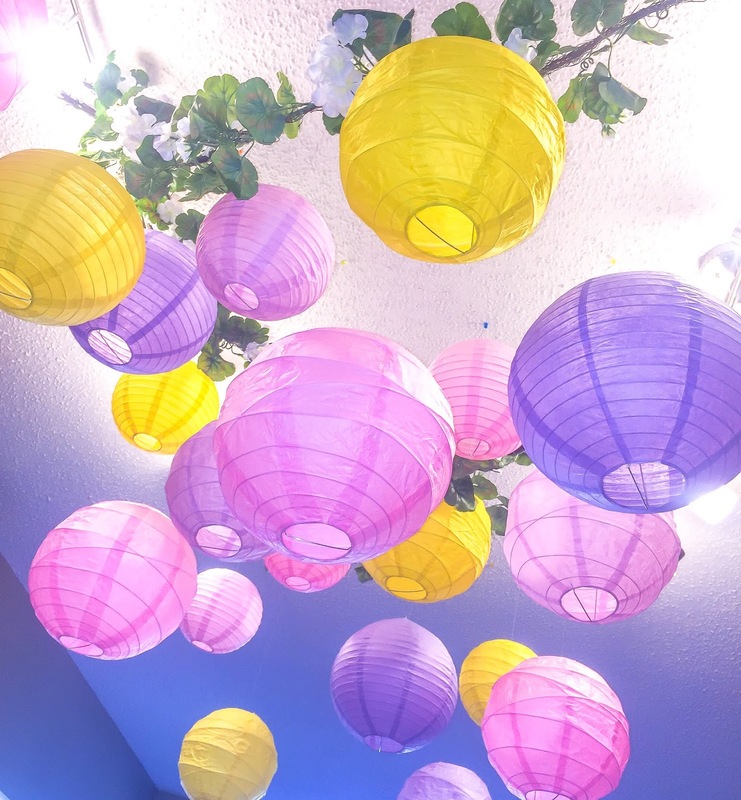 We spent a good couple of hours hanging paper lanterns on the ceiling. This is not a random process. My OCD tells me that each piece has to be thoughtfully placed and properly spread out (I know, I’m crazy). They ended up looking so pretty and whimsical! I thought everything came together beautifully. 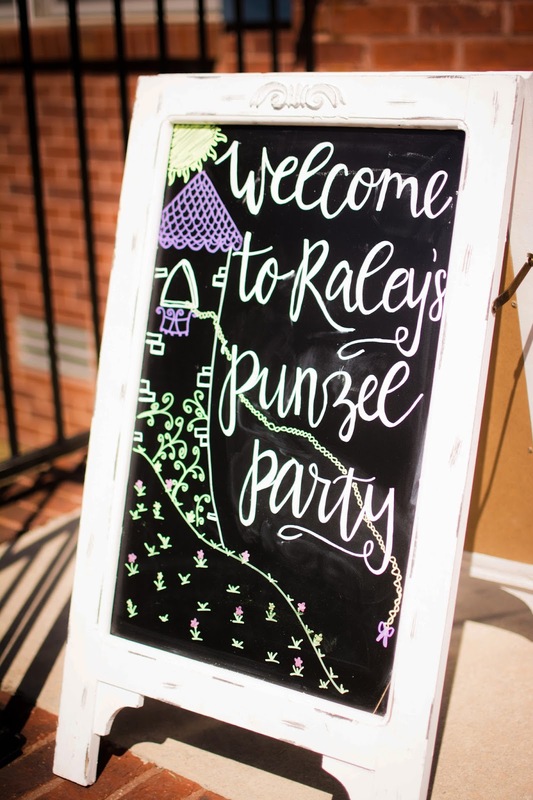 I made this chalkboard sign which sat on the front porch and greeted people when they walked up. Just inside the door were water paint favors and a photo of Raley. In the dining room we set up the food and drink tables. 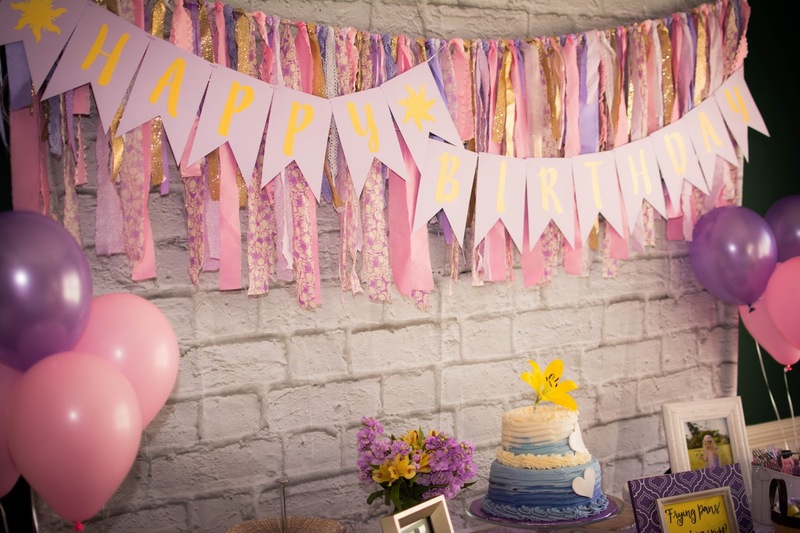 I wanted the backdrop for the food table to look like Rapunzel’s tower so I had found a white brick photo backdrop and pinned it to my PVC backdrop stand. 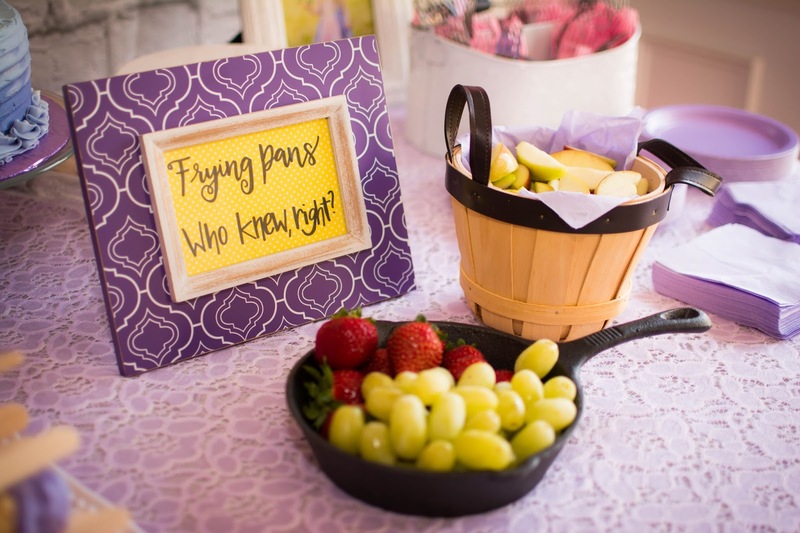 I love that I was able to use things other than typical platters for serving (like the frying pan, bucket, and cake stands). 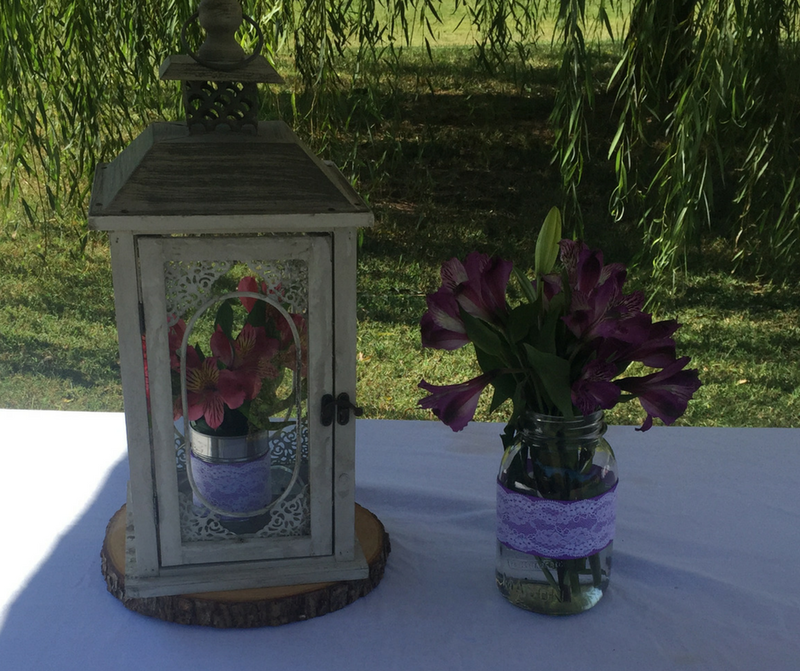 The table was accented with framed pictures and handlettered signs, flowers, and a lavender lace table overlay. For drinks I served my favorite punch, water, and Capri Suns for the kids. 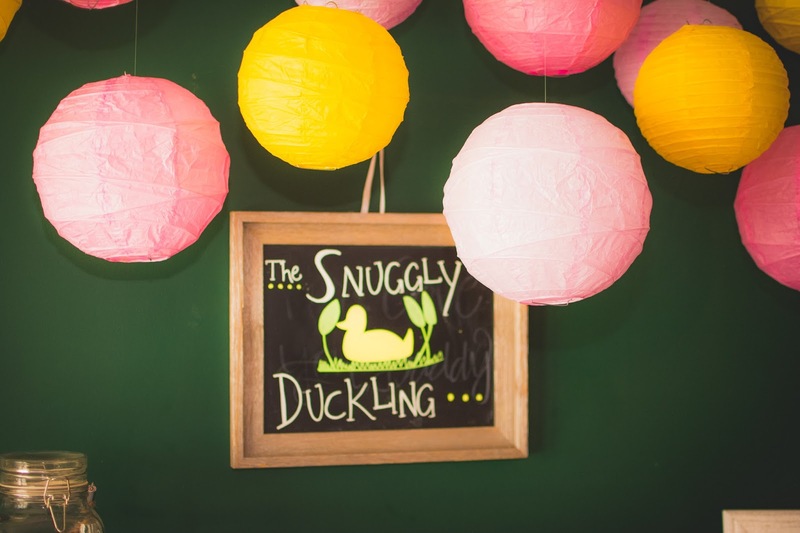 I made this Snuggly Duckling sign, which took me about 15 times to draw the duck right (I am so not an artist!) 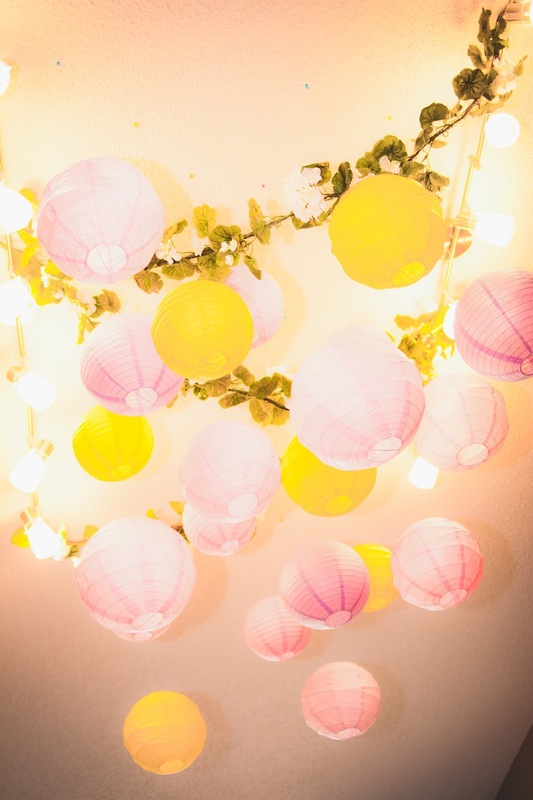 We hung extra lanterns above the drink table to give it a little something extra. I love colorful paper straws! 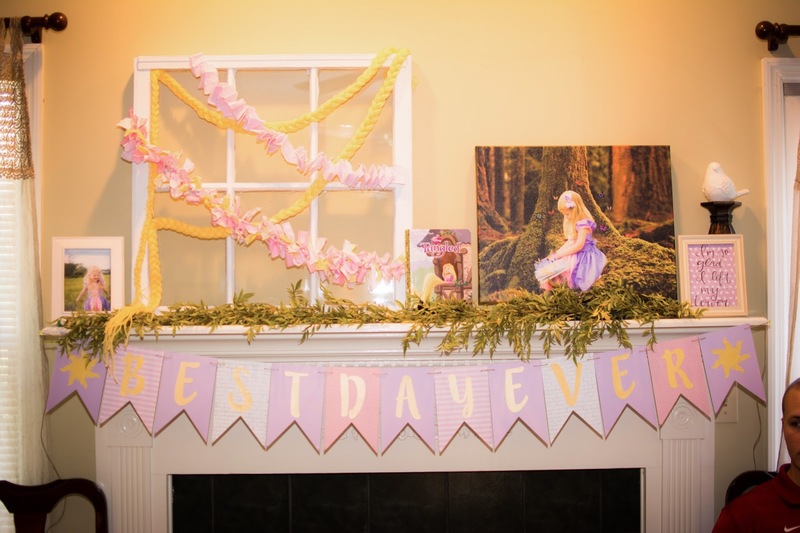 I loved how the mantel turned out! I got this 16×20 canvas with a Groupon deal from Canvas on Demand. Sign made with my Silhouette! I never would have been able to make these suns without it! Outside I set up a painting station for the little ones. I love this table I found at Sam’s Club. It can be adjusted to 3 different heights, so it was the perfect height for the kids. 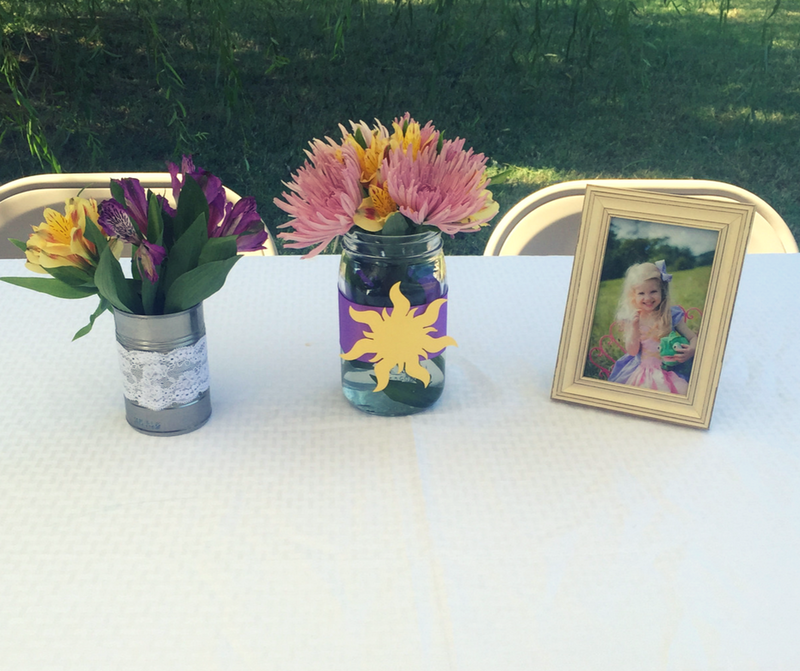 Thanks to everyone who came out for her party! Also, thanks to my parents for allowing us to use their house. Since we invited alot of her classmates this year I was afraid there wouldn’t be enough room at our house. She loved running around in the back yard with all her friends. Raley’s actual birthday fell on Sunday this year. We always like to take her out and do something special to celebrate her birthday, which usually includes pizza and ice cream. 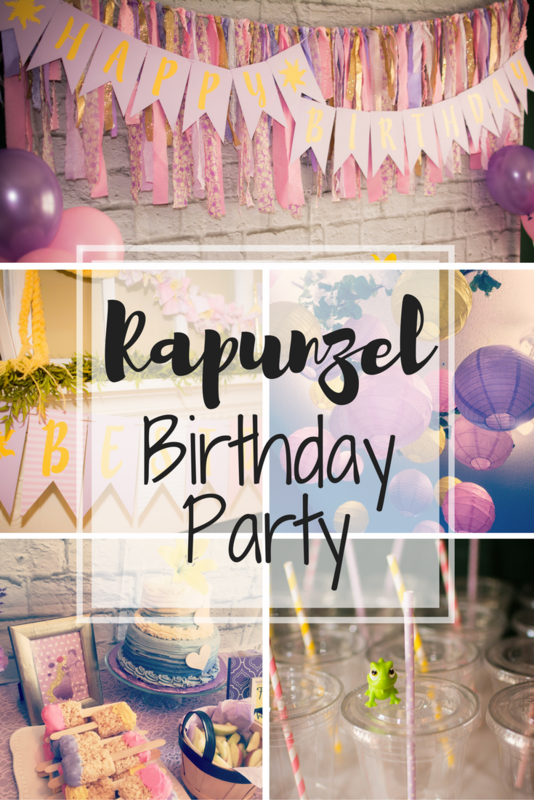 Read all about our birthday traditions, how we celebrated her birthday, and her adorable Rapunzel 3rd birthday photo shoot here. Hi. 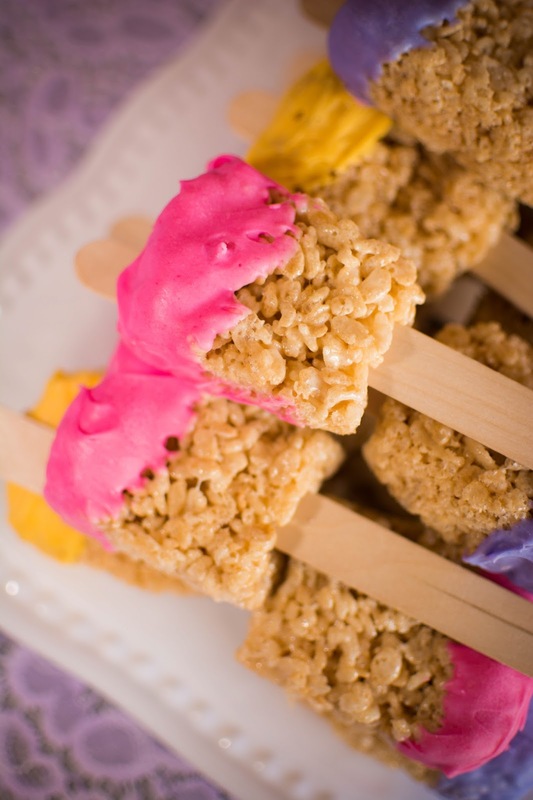 I love all the party ideas! Where did you get the little wooden easels for the canvas painting? Thank you!! I believe the easels and the canvases were from hobby lobby. The easels are in the party section! Do you remember where you got the paint palettes party favors? ?